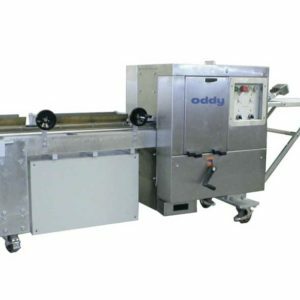 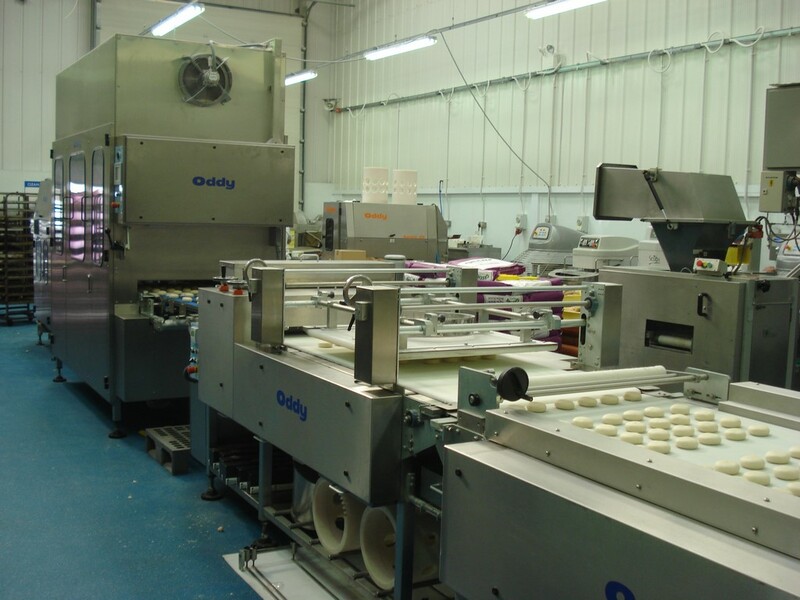 The oddy bread roll moulding table is used downstream of divider/rounders and/or provers these bread roll tables mould the dough pieces in to various shapes and sizes to produce bread cakes, baps, finger rolls etc. 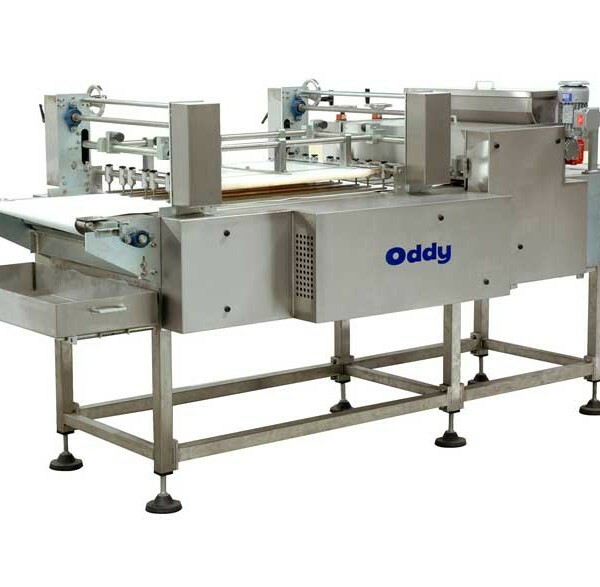 Tags: bread moulding table, finishing table. 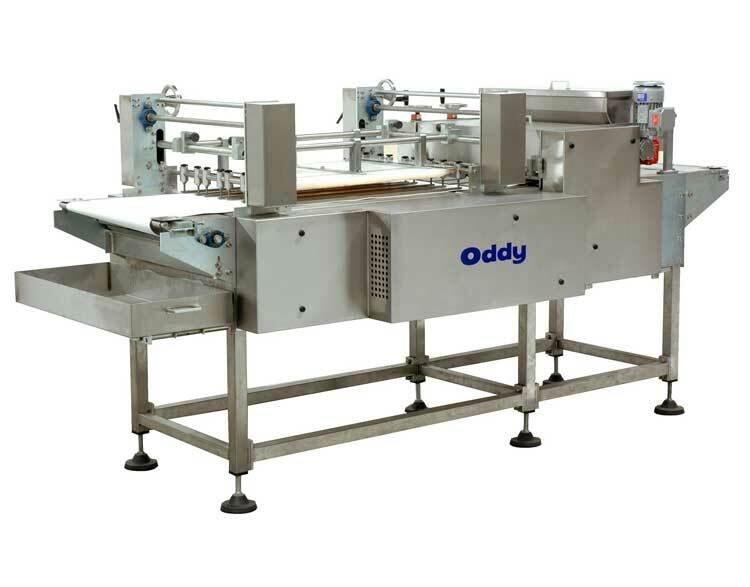 Available in belt widths of 400mm, 600mm, 800mm and 1000mm. 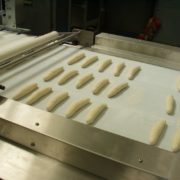 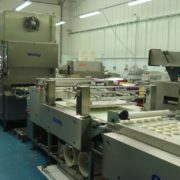 Modular design enables the bread roll moulding table to be configured to suit the customer’s specification. 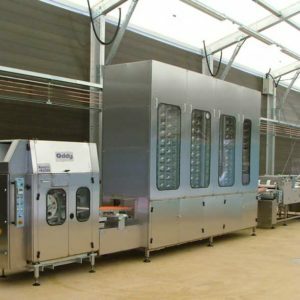 This allows single or multiple modules to be installed or removed should a change in product requirement dictate. 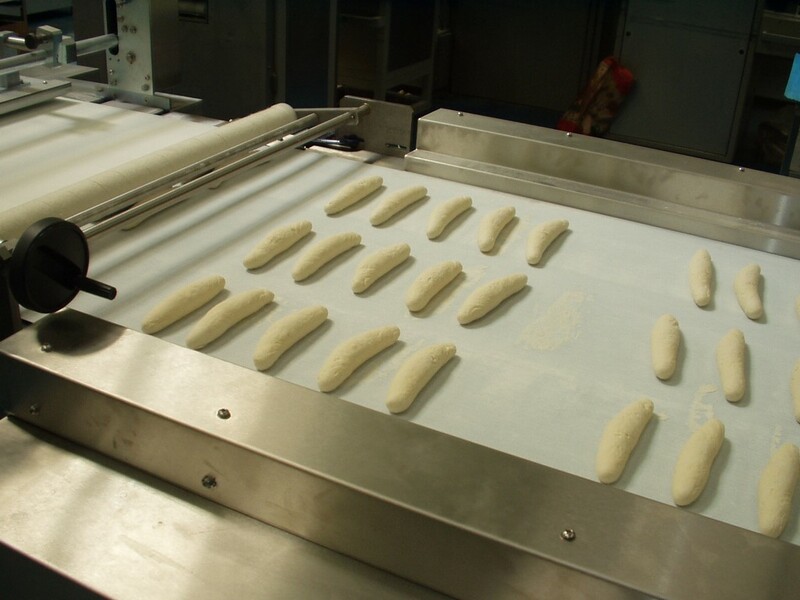 Standard bread roll moulding table height is 1000mm (belt level to floor) but special heights can be accommodated to suit other equipment and special designs. 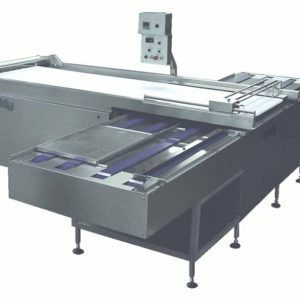 Tables are supplied mounted on legs as standard but can be mounted on lockable castors if required.